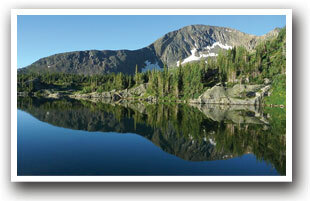 A short drive from Gypsum, 40-acre Sylvan Lake, is the perfect place to bring your small-boat and catch the big ones! Sylvan Lake State Park, one of western Colorado's best kept secrets is open year round. It's a great spot for picnicking, hiking and outdoor photography at the foot of the Rocky Mountains. Fish from your boat or off-shore for brook and rainbow trout. The scenic beauty of the area, along with ample recreational opportunities in White River National Forest, accounts for the fact that it consistently ranks as one of the top five Forests nationwide for total recreation use. Clear streams, flowing from snowcapped mountains, meander through wildflower meadows and into blue mountain lakes. The forest is alive with elk, deer and other wildlife. Fall on the Forest is brief but spectacular, as changing aspens cloak the mountains in gold. Peak color time is normally the last part of September. Crisp, sunny days mingle with early snowstorms in what many consider the premier seasons of the year. There is good big game hunting and snowmobiling in the area. Golfers will want to bring their clubs for some high country games in Edwards, Avon and Vail. All the ski resorts, including Beaver Creek, are accessible from here without the cost of staying in expensive, crowded condos during the ski season. Make a day out of driving the scenic Glenwood Canyon and relax at the hot springs pool. Glenwood Springs offers a wide range restaurants to help finish off a perfect day.